What is the current Cuddle Up Cabin Rentals management fee? Cuddle Up Cabin Rentals has a 35% management fee. We take pride in the service we provide to our owners and the properties we prepare for guests. After calculating just the basics of the business-- advertising costs, fuel, professional services, and staff overhead, we have found that unfortunately we simply are not able to provide the same level of customer service and detail to homeowners & guests for less than a 35% commission. Are you accepting new properties? 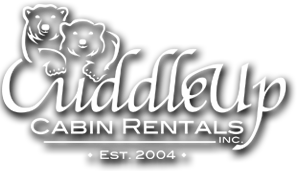 In 2014 Cuddle Up Cabin Rentals celebrated its 10th year in customer service, maintaining a consistent level of homeowner and guest customer service and the reputation we have built over the last decade with the Cuddle Up brand is very important, much more important than being the largest company in our market. While we are always interested in welcoming unique cabins to the Cuddle Up family, we carefully balance that desire for growth with the policy to never take on the management of a property simply for the sake of adding another number to our rental roster—your cabin is your second home, and who wants to feel like just another number? We carefully consider each potential new cabin and work the owners regarding where we envision it fitting in within our company. We know our each of our cabin owners by name, we establish relationships with them, and offer each owner a more personalized approach to management of their cabin. We certainly don’t make any claims to perfection but we do promise to be accessible, respectful, and receptive. What area does Cuddle Up Cabin Rentals cover? 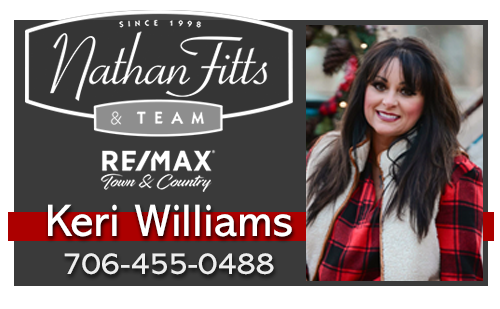 Cuddle Up previews multiple properties each year for rental, and in special circumstances can extend our service area outside of the immediate Ocoee River and Blue Ridge area. In addition to our Blue Ridge and Ocoee River “homebase” we also have select luxury rental properties in Ellijay, GA and Blairsville, GA. Owner restrictions? 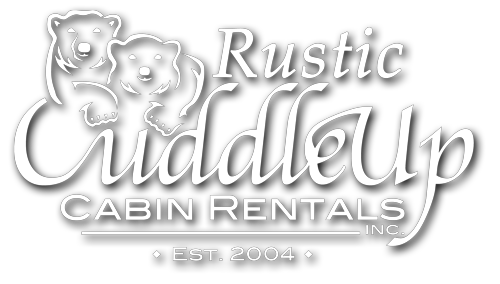 Cuddle Up Cabin Rentals does not restrict the number of dates our homeowners can block out their cabin for personal use, nor do we limit you to a certain number of owner holiday blocks or withhold specific holidays or peak season dates from owner use (i.e. Christmas, Independence Day, summer dates, etc). It is important to note that while we do not restrict the number of homeowner blocks, record of the number of dates blocked are retained in your monthly statements and annual tax paperwork. What can I anticipate as common cabin expenses? When considering property management for your second mountain home it is important to note that each management company handles expenses differently. Be sure that you are getting all the information you need to make accurate comparisons, so you can be sure you are looking at “apples to apples.” In addition to traditional monthly expenses (utilities) keeping rental cabins in the best possible shape for renters also means there will be expenses for things like trash service, mowing or occasional weedeating, bi-monthly professional extermination, and stock (light bulbs, laundry detergent, batteries for remote controls and flashlights, etc.). These expenses are necessary to keep the cabin in great shape, giving guests the best possible impression of your cabin and helping to cultivate a strong and trusted return customer base. Depending on the property management company, you may get free guest paper products but then pay a mark up on professional and maintenance calls to the cabin. Cabin linens? Ideally rental cabins will have spare towels for each bathroom, and spare sheets & quilt/comforter sets for each bed so there is always something available to put out for guests at the last minute. You never know when there might be spill or when your quilt might pull apart at the seams in the wash, so it’s always best to have a back up on hand for housekeeping contractors to put out. And it is also important to consider that unlike your bed and bath linens at home, the cycle of rentals will leave the linens you put in your cabin washed at least once a week, if not more. As a result of the wear, you will go through bath linens and sheets more quickly in rentals than you do in your private residence. Cabin furnishings? Your cabin is your home, ultimately you should furnish it in a way that you enjoy. However, when putting a property in rentals it is important to remember that you are also opening your doors to potential guests and marketing your home as a desirable vacation retreat. You and your family may not be bothered by worn or spotty towels but a paying guest does not know you and will. Your ideal mountain retreat may not have wireless internet, cable, or a land line but these items are necessities for a traveling guest. Successful rentals balance the items they feel are a unnecessary with the little “splurges” guests consider when selecting a cabin for their next vacation. Outfitting a cabin with sleeper sofas, futons and twin beds to sleep a high number of people might seem like a good idea but it is much better to invest that money into quality amenities and furnishing your cabin in a way that you appeal to families or smaller groups of couples & friends looking to relax and settle in for longer stays than large groups trying to find somewhere to stick their friends for a quick weekend trip. Hot tub? Guests love hot tubs! Most rental properties offer them as an amenity but hot tubs do come with their own list of specialized expenses. Hot tubs must be completely drained, scrubbed, sanitized, refilled, and treated before after each guest departs. There are also special jet and water line treatments that must be performed, and even when they have not been used spas must have their chemicals refreshed on a regular rotation. Even the filter cycle and temperature of the water are important factors in keeping hot tubs sanitized and safe for guests to use, spas must be left filled and running at specific temperatures year round to prevent the build-up of bacteria. Hot tubs are popular but they must be properly cared for and monitored to remain an attractive and safe amenity for your cabin. Seasonal Interest? There are definite peak periods of interest for cabin rentals in the North Georgia Mountains, however most companies offer special deals and discounts to offset the periods when rental interest drops. June and July are popular periods of rental traffic, as well as October due to the fall color. Holidays like Independence Day, Memorial Day, Labor Day, Thanksgiving, Christmas and New Years are also popular times for rentals. Additional Taxation? Beginning in 2014 Gilmer and Fannin Counties began charging owners of second homes who rent out their properties additional taxation based on the furnishings & amenities the property offers guests. This taxation extended to rental properties that were rented out privately by the owners using outlets like VRBO, Flipkey, Airbnb as well as those registered with local property management companies.